Evenheat PYROMETERS offer the only method of determining firing progress. An Evenheat pyrometer will tell whether you are firing too fast, and also at the proper rate for the ware that you are using. 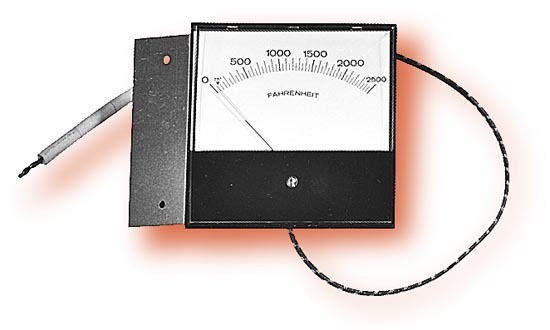 The ANALOG Style Pyrometer below does not require any batteries or plug-in transformers to operate and can be Self-Installed. in a kiln�s firing chamber.